As the consuming public, every few months we are treated to an event that is aimed towards revealing Apple’s latest and greatest technology in the hopes of building hype and increasing pre-order sales. And, needless to say, this week we were not disappointed by the amount of reveals and exciting new devices. Below we have highlighted the major technology releases that were unveiled this week by Apple. iPhones were the highlight of the presentation on Wednesday, with Apple announcing 3 new iPhone models set to be released in October. The iPhone XS and iPhone XS Max are the two primary devices set to be available this fall. Both devices will come in gold, silver and gray. Meanwhile, the iPhone XR is going to be the budget version of the previous two devices. 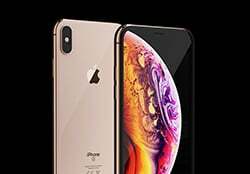 The XS and XS Max are a bit pricier than previous models, coming in at $999.00 and $1,099.00 respectively. In wearable technology, Apple is set to unveil the Apple Watch 4 this September. 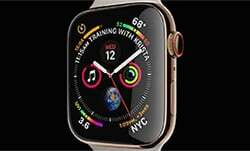 With a larger display and newly installed electrocardiogram monitor incorporated, the Apple Watch 4 is set to focus on healthier lifestyles. The display for this new Apple Watch is set to be about 30 percent larger than its predecessor. Also, it will contain a 64-bit processor, which is estimated to make it twice as fast as the Apple Watch 3. 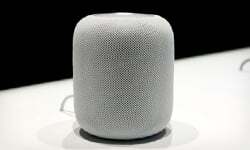 Not much was specifically mentioned about the HomePod, but it was revealed that the HomePod will be gaining the ability to complete calls in its latest round of updates. Users will be enabled to ask Siri to call someone from their list of contacts quickly and easily. Additionally, you will be able to search for any of your other mobile Apple devices by using your Siri. To the surprise of many, there were no new announcements on any new Mac devices or iPad models to make public. However, it is still expected that there will be some leaks or reveals of potential new devices here in the near future! So, what are your thoughts? Are you interested in acquiring any of these new devices? If so, make sure your device does not go unprotected from a variety of unforeseen accidental damages. We cover damages including: accidental damage, cracked screens, liquid submersion, theft, vandalism, fire, flood, natural disasters and power surge by lightning depending on the device. Get an Instant iPhone Insurance Quote!